Fire Emblem series fans are extremely fond of Ike, the protagonist and star of Fire Emblem: Path of Radiance as well as Fire Emblem: Radiant Dawn. Players have been clamoring for his inclusion within Fire Emblem Heroes from times even before the game was released. Well, as of the game's latest summoning event, players now have the chance to get their own heroes from Path of Radiance, including the good man Ike himself. 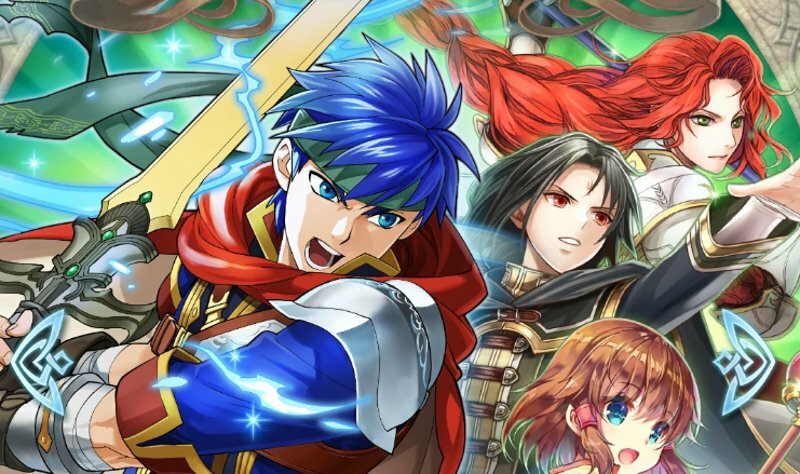 Ike is part of the latest World of Radiance summoning event in Fire Emblem Heroes. Up until May 15, players participating in the event have a chance to summon random characters from the Radiance games, including Ike, Mist, Soren, and Titania. Players can use their orbs in conjunction with the new Summoning Focus to summon one of the heroes, but as always, summons are random, so no specific hero will be guaranteed. With that said, players who specifically want Ike would be advised to look only for Red stones, as they'll increase the chances of summoning Ike. Fire Emblem Heroes players who manage to summon Ike will be treated to a powerful Red Swordsman unit. Ike's stats are comparable to those of Lucina, who is otherwise the game's top-ranking Red Sword unit, except Ike has higher attack (35 instead of 34) and defense (32 instead of 25), but lower HP (42 instead of 43) and speed (31 instead of 36). Ike's best weapons include the Iron Sword, Steel Sword, Silver Sword, and Ragnell. Ragnell is the clear choice, being both the strongest weapon available as well as the personal weapon of choice for Ike, and it has the added distinction of being able to counterattack enemy units regardless of proximity. Lastly, Ike's stills include New Moon, Luna, and Aether. As Fire Emblem Heroes likely know already, these are the same skills given to both Chrom and Lucina. New Moon can resolve combat as if the enemy is weakened with DEF/RES at -30%, whereas Luna does the same at -50%. Aether is much like Luna, except that the hero unit will recover HP in an amount equal to half of the damage dealt. Ike also has the special Heavy Blade skill, which gives a chance to gain a Special Cooldown charge, and the Swordbreaker skill, which grants a chance to perform a follow-up attack. Fire Emblem Heroes isn't the only great free-to-play title on mobile platforms. Check out some of the other top-tier hits featured on our list of the Best Free To Play Games.